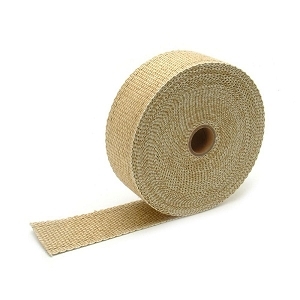 A simple and effective way to control heat, protect against serious leg burns and improve performance. 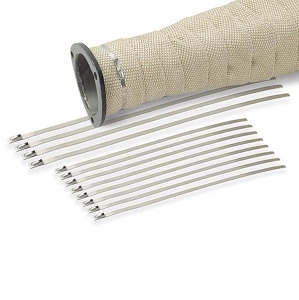 Pipe wrap kits contain everything needed to wrap a set of pipes all in one convenient package. 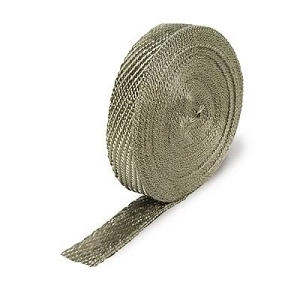 Each kit includes two 2" x 15 foot rolls of exhaust wrap, eight 8" & four 14" stainless steel Locking Ties to secure wrap and HT Silicone Coating spray that penetrates, seals, protects and preserves wrap. 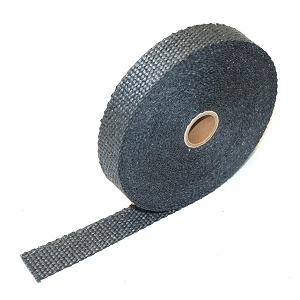 Protects against abrasions, hot oil spills, Road grime and more. 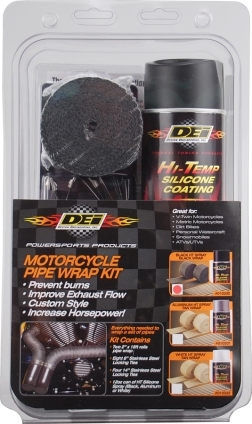 Here is installation instruction from DEI on how to properly apply here wrap.